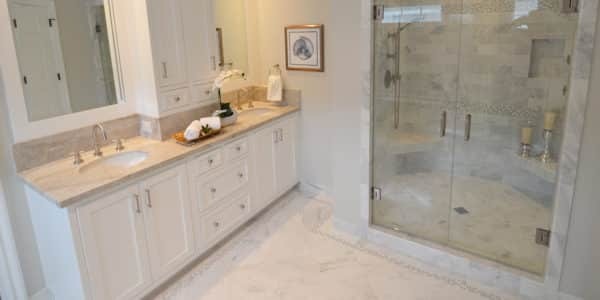 The master bathroom shower features three shower heads, two of the three are regular, the other is a hand-held shower head, there is marble in the shower from the ceiling to the floor with accent glass pieces, around the bath has the same marble around it. 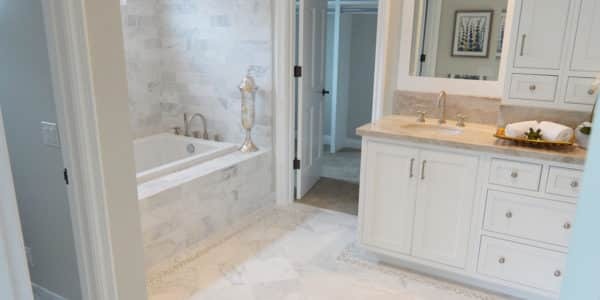 The floor is marble with accent glass pieces just like the shower. 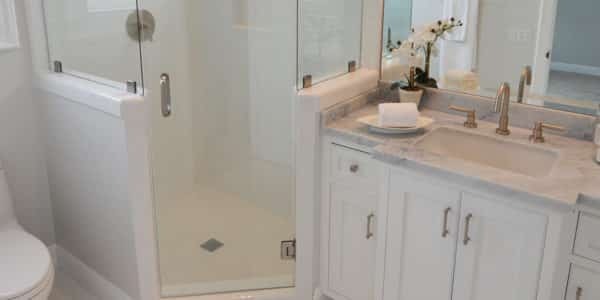 The bathroom also has a marble countertop, his and her sinks and white painted shaker cabinets.